Here is the list of positive psychology author Scott Ventrella’s 10 traits of a positive thinker: 1. Optimism, 2. Enthusiasm, 3. Belief, 4. Integrity, 5. Courage, 6. Confidence, 7. Determination, 8. Patience, 9. Calmness, 10. Focus. I am expanding on each trait in a 10-part series. 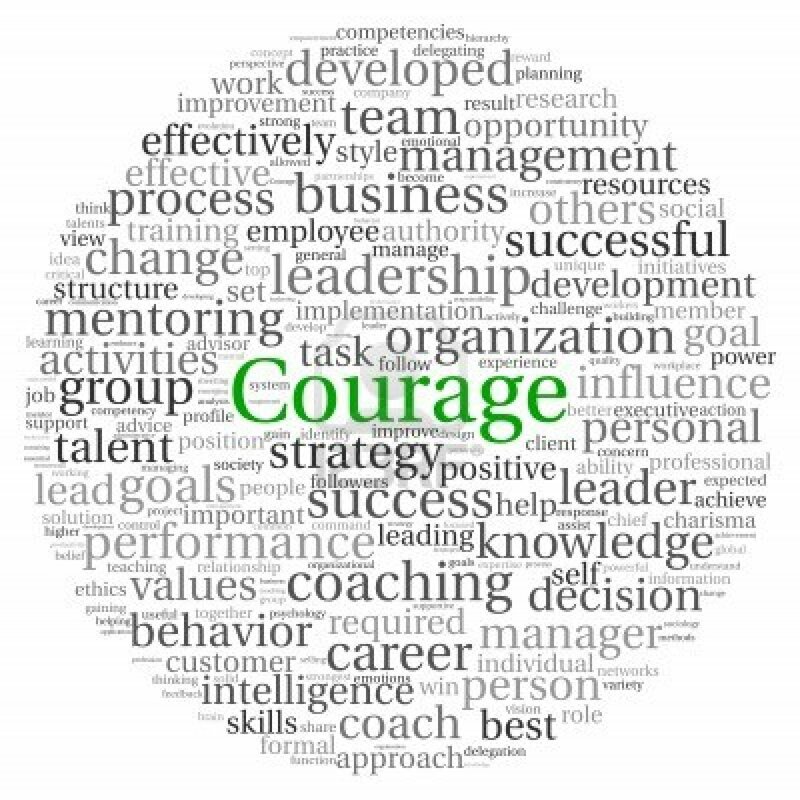 This blog addresses Courage in Leadership. If you can answer “yes” to the following questions, you may be a leader who exhibits courage at work. Do I prevent crises from paralyzing me? Do I speak up on unpopular positions if I think they have merit? Do I take on assignments that interest me even when the odds of a favorable outcome are slim? Do I stay on course even when things get uncertain? Do I support colleagues who are being excluded due to implicit/explicit bias? 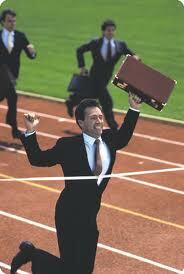 What strategic business plan would you implement if you were ten times bolder? The word Courage is from Latin cor, meaning “heart.” You may have heard the phrase, “Take heart.” It is power that is drawn from within. It is the willingness to take risks and overcome fears, even when the outcome is uncertain; AND, it is also the willingness to move forward on your values, even when you know the outcome will be unfavorable. The antonym to courage is “cowardice.” The word “coward” comes from Latin cauda, which means “tail,” as in when a dog runs away with its tail between its legs. Fear is what often prevents us from acting courageously in the workplace. Scott Ventrella: Fear creates a certain degree of desperation that can cause us to compromise ourselves. Many people mistakenly believe that courage is the absence of fear, but, to the contrary, courage is acting in spite of our fears. (pg. 137; emphasis added). C.S. Lewis: Courage is not simply one of the virtues, but the form of every virtue at the testing point. Mark Twain: Courage is resistance to fear, mastery of fear, not absence of fear. Sir Winston Churchill: Courage is what it takes to stand up and speak; courage is also what it takes to sit down and listen. Paulo Coelho: An act of courage is always an act of love. And, from the animated feature film A Bug’s Life: You let one ant stand up to us, and they all might stand up! Those “puny little ants” outnumber us a hundred to one. And if they ever figure that out, there goes our way of life! It’s not about food. It’s about keeping those ants in line. THAT’S WHY WE’RE GOING BACK! Does anyone else wanna stay? Take courage. Embrace your fears (that’s how you squash them into oblivion). Scott Ventrella, The Power of Positive Thinking in Business (New York, NY: Fireside), 2001. (pp. 37-38, 40, 44, 85). Emphasize what is good (sweet like their maple syrup). First positive, then critical, & positive again (try to motivate). Friendly and smiling giving feedback. Harsher behind the person’s back. Inside meant to be tasted and digested. Intended to bear sweet fruit. All colleagues involved consult with each other. Eye contact reflects status and context. Fully and meticulously thought out in advance. Painstakingly presented as “might” or “maybe” to soften impact. Don’t have a word for “no.” Although, sucking in sound is a negative. Can be indirect ; must read between the lines. Twists and turns hold + & – information. Areas of improvement added on top. Harmonious and positive in public. Direct, outspoken, and negative in private. Poke holes with focus on –. What was successful and why. Search for the behaviors to solve it. Summarize receiver’s competencies, underline where performance has to improve. As a responsible professional, you should know how to fix it. Focus on what needs to be changed. Expect discussion, consensus on practical steps. In small bits with much talk. Brief feedback with key points. Very respectful, formal, & principled. Most ineffective feedback behaviors come either from lack of skills or from the sender not seeing the process as an interaction in which both parties have needs that must be taken into account. 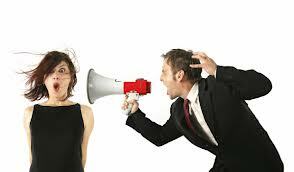 The feedback process is the outcome of two diverse individuals as partners. It needs to be monitored and sometimes explored and improved. If a manager does not value the concept of “process” or does not want to take the time to discuss anything other than content, then the results include disappointment, frustration, wasted time/energy, and lots of ineffective feedback. His/Her lack of interest in anything other than your total acceptance of the content will distort the manager’s perception of your response as being defensive, when it is most likely an indication of his/her inability to lead effectively. Effective leaders carry the key to motivation and inspiration; not negative feedback dumps. People join organizations and leave managers. To be more illustrative as to what typically works in the USA, below is a chart of comparison on effective and ineffective feedback. Comes as soon as appropriate after the behavior – immediately if possible; later if events make that necessary (e.g. you need time to “cool down”) Is delayed, saved up, and “dumped.” The receiver may experience guilt &/or anger because after time has passed there’s usually not much s/he can do about it. E.g. They explode or approach you several days/weeks/months later, as in a Performance Review or 360. Includes the sender’s real feelings about the behavior. E.g. “I get frustrated when I’m trying to make a point and you seemingly laugh at my suggestions.” Feelings are concealed, denied, misrepresented, distorted. Smuggled feelings include sarcasm, sulking, competing to see who’s “right,” or passive aggression. E.g. “I guess I won’t share my suggestions.” (Hangs head). My investment at Pepperdine University. 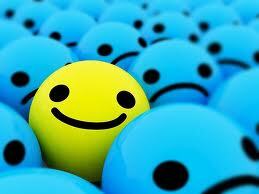 Positive Psychology author Scott Ventrella ventures to list 10 traits of a positive thinker: 1. Optimism, 2. Enthusiasm, 3. Belief, 4. Integrity, 5. Courage, 6. Confidence, 7. Determination, 8. Patience, 9. Calmness, 10. Focus. Do I tell the truth? Or, do I call others “liars” while I consider my own fibs a part of how “business is done”? Do I use the same standard of measuring my own behavior as the behavior of others? Or, is what is good for the goose is not good for the gander? Do I guard others’ privacy? Or, do I promise to keep things confidential and then tell another? Do I treat people even-handedly and fairly? Or, do I allow those who I’m partial towards get away with constant overpromising and underdelivering? Do I engage in the dissolution of conflict? Or, do I promote my own hidden agenda? How we choose to respond to another person’s reality is a critical, and difficult, role for the leader. And, with so many customers (and potential customers) out in cyberspace, it is unlikely to know who everyone is, but their actions or words are important for strategic planning at all levels. If you can’t handle a difficult conversation with authenticity and integrity, then have the difficult conversation with yourself on your role as a leader. Read Difficult Conversations: How to Discuss What Matters Most, by Douglas Stone, Bruce Patton, Sheila Heen, and Roger Fisher. See blog Feedback around the World for quick pointers. As inspirational author, H. Jackson Brown, Jr. said, “Opportunity dances with those already on the dance floor.” So, take her (i.e. Opportunity) out on the floor and show her your moves as you guide her into an artful difficult conversation. As John Travolta is Tony Manero to the dance floor, so are you the deft, integrity-filled leader to the difficult conversation. H. Jackson Brown, Jr. Life’s Little Instruction Book (Nashville, TN: Rutledge Hill Press, Inc.), 1991. Piggy-backing off of Scott Ventrella’s work, The Power of Positive Thinking in Business — who piggy-backed off of Dr. Norman Vincent Peale’s work — is an expansion on what I refer to as the 10 traits of positive-minded leaders. Ventrella states that “Positive thinkers are tough-minded reality-based people who blast through problems with energy and zeal.” Cynics and skeptics do not change the world; leaders do. The following are the 10 traits of a positive thinker: 1. Optimism, 2. Enthusiasm, 3. Belief, 4. Integrity, 5. Courage, 6. Confidence, 7. Determination, 8. Patience, 9. Calmness, 10. Focus. Do I know that I have the power to change my outlook? Do I practice affirming myself? Am I comfortable knowing that I can improve upon my best efforts? Am I committed to living my life to high standards and a higher purpose? Do I see individual events as part of a greater plan? Or, am I at least comfortable knowing that negative consequences can ultimately yield positive results? Belief comes from conviction that certain things are true. It is paramount that leaders have a strong sense of Belief in self; when self-doubt creeps in, we lose sight of our individual identity and uniqueness. How can you lead effectively, if you do not know who you are? Leaders also steer away from any self-limiting beliefs, as they do more harm than good. People must treat me fairly. The bottom line is that the world and the people in it are often unfair. We cannot avoid unfairness. I should have little discomfort in life. The truth is: no one will leave this world without discomfort at some point. People must find me likable. Concentrate on liking others versus being liked by others. I must perform well or I’m no good. While perfectionists do tend to get promoted, they usually are the least satisfied in work and life because they usually convince themselves that having done their best is never good enough. They “rig the game” against themselves for assured dissatisfaction. Life without satisfaction and gratitude is a hard road to travel. Practice gratitude daily. People who treat me badly deserve to be punished. As tempting as revenge may be and as justified as you may feel, stay away from vindictiveness – it only creates more negative energy, which is a poison you wish to administer to the other while unconsciously engaging in self-administration. I must get what I want, when I want it. Choice is a gift, Patience is a virtue, and Restraint is what separates us from the rest of the Animal Kingdom. Believe in yourself. Do not BeLIEve in a LIE. How would that help you? Built upon the foundation of Dr. Norman Vincent Peale’s work, The Power of Positive Thinking, positive psychology author Scott Ventrella states that “Positive thinkers are tough-minded reality-based people who blast through problems with energy and zeal.” Cynics and skeptics do not change the world. Ventrella lists 10 traits of a positive thinker: 1. Optimism, 2. Enthusiasm, 3. Belief, 4. Integrity, 5. Courage, 6. Confidence, 7. Determination, 8. Patience, 9. Calmness, 10. Focus. Do I wake up feeling excited about the day ahead? Do I thrive on finding needs that interest me and fulfill them? Do I have and show energy about projects that excite others? Am I energetic in pursuing outcomes? Do I get a kick out of life? Enthusiasm comes from Greek entheos, meaning “inspired.” It literally means “possessed by a god” or en theos, “in God.” So, essentially…What leaves you feeling inspired? What has you ready to spring out of bed in the morning? What contributes to having you feel like you have the Living Spirit in you? Philosopher Confucius said, “Choose a job you love, and you will never have to work a day in your life.” This is not to say that you should give up your day job to become a NASCAR racer. Nor does this suggest that because you love your work that you are immune to the politics and bureaucracy at work. It means being able to stay focused on which aspects of your work from which you DO gain enthusiasm. Losing the love in your work can be like a relationship…sometimes it’s tempting to pursue something new to rekindle that excitement. Is what first attracted you to your assignment/relationship no longer there? Examine what made your position attractive to you in the first place. (See blog The Four Temperaments & the Organization). Usually, you are attracted to what you can do and in which type of organization you can provide those services. Organizations (not to mention supervisors) have “temperaments” as well, which may indicate a natural affinity or an opportunity for you to leverage yourself as a complementary necessity. The freedom to do what you want? Producing something others will enjoy &/or use? Having a peaceful, relaxing time? Competing against others or a standard? Discussions or conversations with others? Appreciating something beautiful, creative, or interesting? Southwest Airlines Flight Attendant Virginia from my Nashville flight to Los Angeles responded to my length of service question, “17 years, and I’m the junior one on the aircraft. Southwest Airlines is a nice place to be.” Virginia found what she likes to do and with which airline. She discovered her enthusiasm stems from her passion to travel and help others. I consider Enthusiasm to be Passion. What is yours? Scott Ventrella, The Power of Positive Thinking in Business (New York, NY: Fireside), 2001. (pp. 15, 69-71, 112-113). Virginia, Southwest Airlines, non-stop a.m. flight 332 BNA to LAX on 5.6.13. À la Ventrella (i.e. Scott Ventrella), who built his work, The Power of Positive Thinking in Business, upon the foundation of Dr. Norman Vincent Peale’s work, he states that “Positive thinkers are tough-minded reality-based people who blast through problems with energy and zeal.” Cynics and skeptics do not change the world. Ventrella lists the 10 traits of a positive thinker as the following: 1. Optimism, 2. Enthusiasm, 3. Belief, 4. 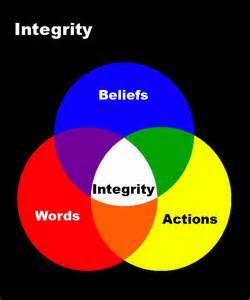 Integrity, 5. Courage, 6. Confidence, 7. Determination, 8. Patience, 9. Calmness, 10. Focus. Do I meet challenges with a sense of control? Do I act with a sense of hope about what lies ahead? Do I work to minimize the impact of my doubts and fears? Do I keep my spirits up even when things aren’t going well? Do I gear myself to be positively hopeful in my attitudes and expectations? The “Law of Positive Expectancy” (or the Power of Projection) can be defined by the story the “Little Engine That Could.” Through hard work and optimism the Little Engine achieved what it expected to achieve, which is what we can do for ourselves as humans. 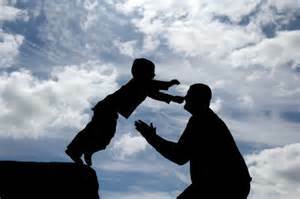 We also achieve what others expect us to achieve – such as parents, role models, teachers, coaches, etc. – and, conversely, we may not establish “stretch goals” for ourselves nor attempt to achieve what we project to be possible, or thwart any intentions to achieve something, if others deem our ideas as impossible. Self-Enhancement – Decision-Makers can control their anxiety better with optimism, which allows wiser judgment. Self-Presentation – Leaders who present themselves in an optimistic manner and more positive light are generally more accepted than those who are negative. Perceived Control – Leaders in control (or perceived control) tend to rely heavily on direct action and responsibility of situations. Most of us are sporadic pessimists. This means that we occasionally get triggered by situations that tend to contribute towards making us FEEL, THINK, or ACT less optimistically. Below are four itemized categories of areas that may dim your optimism in the workplace. Receiving (or not receiving) performance reviews/feedback. Being left out of decisions or plans. Not being recognized or rewarded for performance. Difference in personal and/or managerial styles. Lack of communication with my manager on work progress, issues, opportunities. Giving performance reviews or feedback to others. Having to deal with conflicts among others. Dealing with style differences among employees. Having to deal with personal problems. Company politics and game playing. Policies, processes, or systems that hinder progress, new ideas, or exceptions to the norm. Reorganization, reengineering, downsizing, and so on. Bureaucratic structures, reporting relationships, layers. Insufficient communication and dialogue about what is happening and why. Opinions or feedback on my performance that goes to others, not me. Feeling or knowing that I am being lied to, blamed, or patronized. Not being able to negotiate over projects, deadlines, requests. Bobby McFerrin wasn’t the first to sing “Don’t Worry, Be Happy,” but if we sing it ourselves, our positive well-being and self-esteem are healthy for us and can influence others favorably.